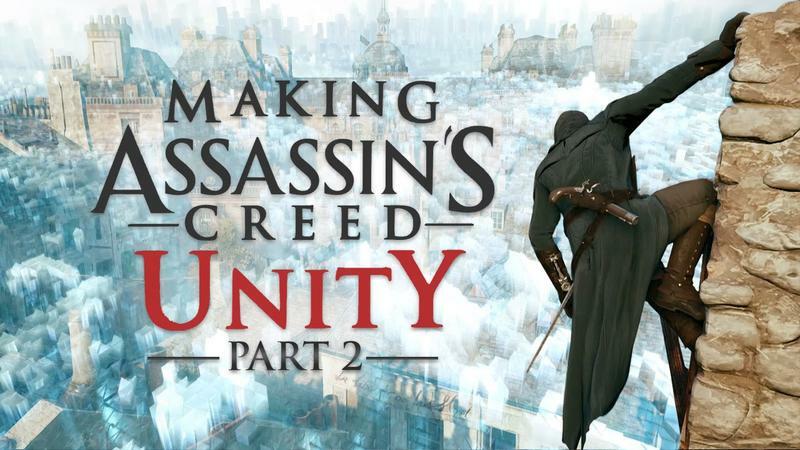 Ubisoft released this week the second in a series of videos detailing the process behind creating Assassin's Creed: Unity, which shares the technology powering the first game in the series built primarily for the new generation of consoles. The Paris of Assassin's Creed Unity is closer in scale compared to its real world counterpart than previous games have been, with the city taking up a space similar to that of the entire Frontier area in Assassin's Creed III. As a result, the team behind it (if you can still call a group of people that size a team) has had to find new ways to speed up the creative process. One way the team has done that is to make it easier to build out the city. The team can now layout a street and populate it with buildings almost instantly, and then go in and tweak the particulars of the buildings individually to ensure buildings fit together thematically and have good free-running lines. The team has also sped up the iterative process by allowing animators and other people in the technical-creative part of the studios to work their changes into the game directly, rather than having to run each change through a programmer. The video covers these and more, as well as showing off a really gross decapitated head. So, you know, wait for that. If you missed the first part, you can see it here.